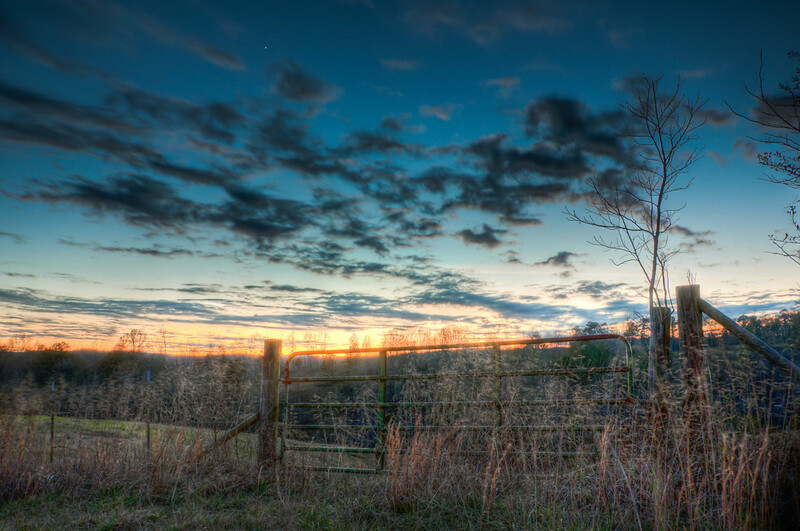 Sunset at the Gate | Just Shooting Memories! I missed the sunset the other day, but I was able to make it to a good spot for some shots just after. The sun was way below the horizon and just the smallest color was glowing like a line and the clouds were really moving across the sky. I took my first shots before noticing how fast the clouds were moving. I changed settings to get a good long exposure and have the clouds moving to get this shot. The bright star near the middle is actually Venus.